I’ve been mostly working from home in these last couple of weeks before the home stretch, but went in to the office last week to wrap up loose ends, take home all the heels that I totally forgot about for the last six months, and to do fun things like meet with my pro bono clients, who got all the adoptive funding we requested! It did mean that that hearing didn’t end up happening, but when it’s because we got everything we asked for, that’s okay with me. To be clear, I think our happy outcome had everything to do with (1) my clients being wonderful parents with the sweetest daughter who really deserved it, (2) the other side really wanting to postpone the hearing, and (3) me really not wanting to postpone the hearing because hey guys, I have a biological baby deadline, and nothing to do with any lawyering I did. But in a job where most of the time I represent (or, help people senior to me help partners senior to them represent) clients in long, drawn-out matters with things at stake that sometimes feel more abstract than real, helping parents get funding for their sunny, sweet nine-year-old, and getting this thank-you card, was about the best cap on starting maternity leave that I could ask for. Other than that, I’ve hanging out at home! Technically still “working,” though I think most folks are a little scared to give me work at this point and I find myself spending more time getting distracted by the new waffle maker we didn’t need but I definitely bought than doing anything productive, but, you know, then at least I have waffles. When not waffling, I’ve also been revisiting some of my favorite things and seeing if I can make them more hands-off, or freezable — or both! And this baked French toast is, to my endless delight, one of them. 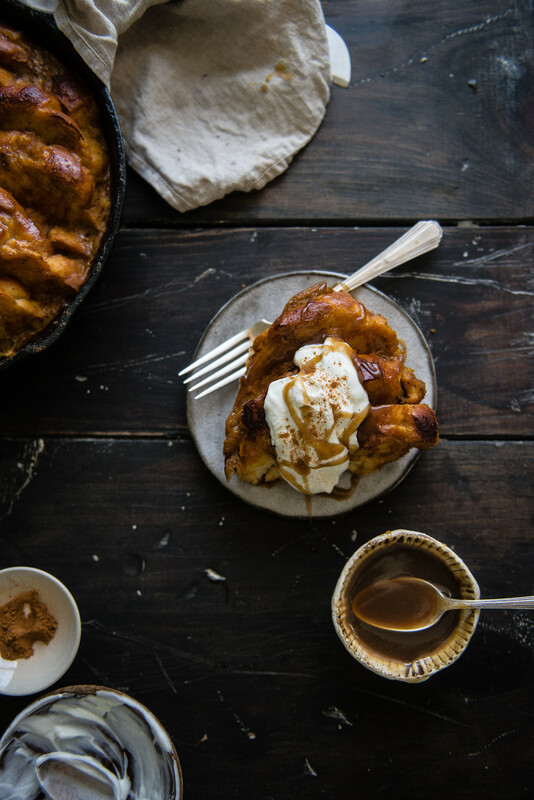 To be honest, I’d take any excuse to come back to this pumpkin French toast after I made a stovetop version last year. I’m a fan of French toast in any incarnation, sweet or savory, but with a bit of pumpkin (or in this case, my favorite stand-in, kabocha) and some fall spices to turn it into a custardy, pumpkin-pie-French-toast love child, it was one of my favorite things that I’d ever made — and that version, already plenty easy and perfect for when you want an instant hit of pumpkin-y deliciousness, might just be even better baked. 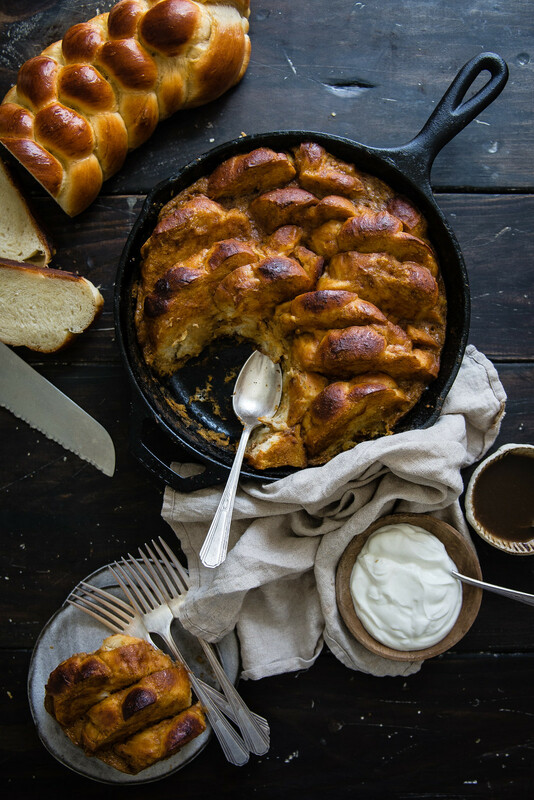 The thing I love about French toast is its ability to revive stale bread into an even more perfect version of its fresh self, and I think a baked casserole is even better for that — snappy on the outside, doughy, chewy, and soft within, with pockets of custard throughout. You throw it all into a pan the night before, bake it, hands-off, in the morning, and if you have leftovers, they’re ready to be sliced up and frozen for a quick breakfast (or midnight) treat after that. With a dollop of lightly sweetened Greek yogurt (because you know, then it’s healthy) and the quickest, easiest maple caramel sauce (which might technically be a butterscotch) drizzled on top, it’s pretty much my ideal fall breakfast. And if you have any more pumpkin puree left on your hands after you’re done, Sara over at Cake Over Steak and Aimee at Twigg Studios organized the most mind-blowing round-up of pumpkin recipes to use all of that (and more) up! You can find all the links on their lovely blogs. I hope you’re all having the coziest start to your fall! The day of: Preheat the oven to 350 degrees. Pour the remaining ½ cup of the egg-milk mixture over the top of the French toast. Bake for 30 to 45 minutes, or until custard is set but still a bit wobbly, and the bread is slightly browned and does not ooze liquid when poked. 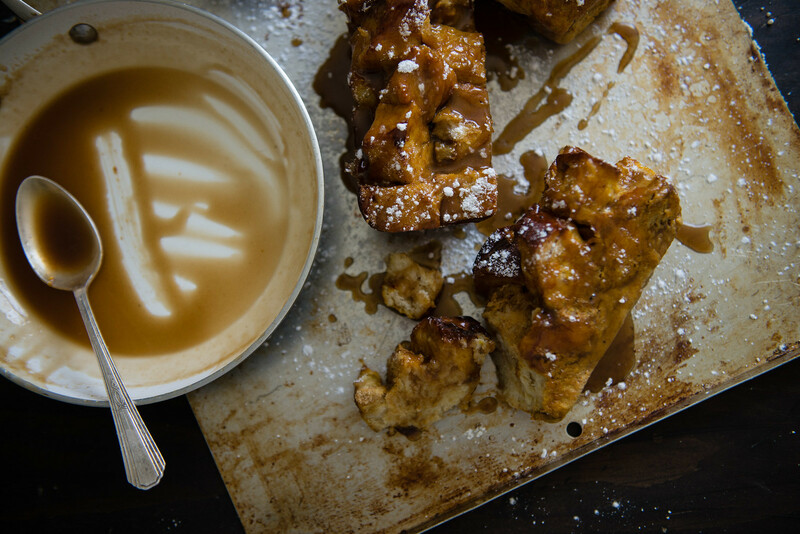 While the French toast is baking, make the maple caramel sauce. Melt the butter in a skillet over medium-low heat. Add the sugar and stir to combine. It will still stay a bit separated; this is fine. Add the cream or milk, taking care not to get splattered, and stir until fully combined. Bring to a simmer and cook, stirring, until it thickens enough to coat the back of a spoon, about 2-4 minutes. Remove from heat and add the maple syrup and salt. Stir until incorporated, then set aside until ready to use. The sauce will thicken as it cools. When the French toast is done, serve warm with slightly sweetened Greek yogurt or whipped cream (Greek yogurt is my favorite) and plenty of caramel sauce. Either sliced or cubed bread will work here; I liked the way that this looked with slices nestled together, but cubes will allow for more even moistening if that is what you prefer (and worked wonderfully in a 4-cavity mini loaf pan, where each loaf held approximately 2 cups). It doesn't make a big difference either way. « garlicky spaghetti with lemon, capers & almonds // a giveaway! love baked french toast! normally i just lie the bread flat and stack the slices on top of each other, but i like how the slices are just casually slumped against each other here. 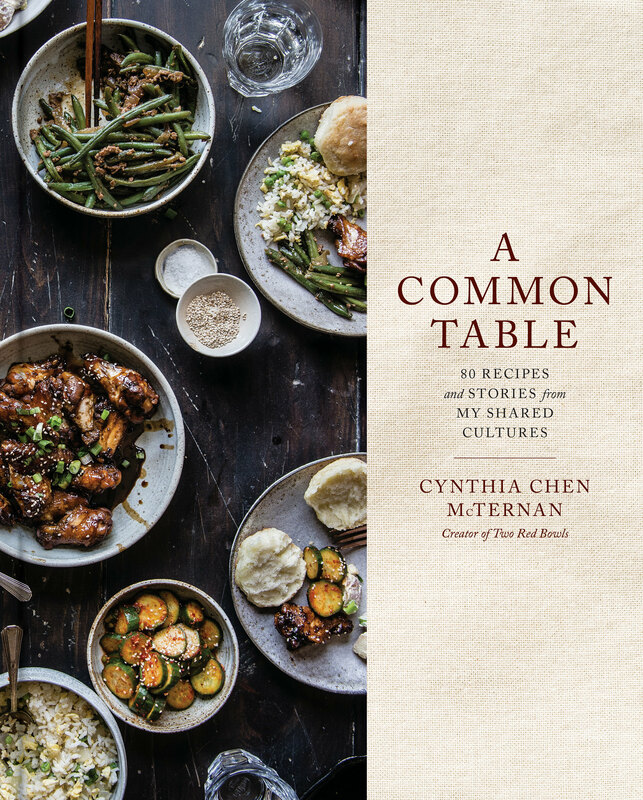 This looks incredible Cynthia! 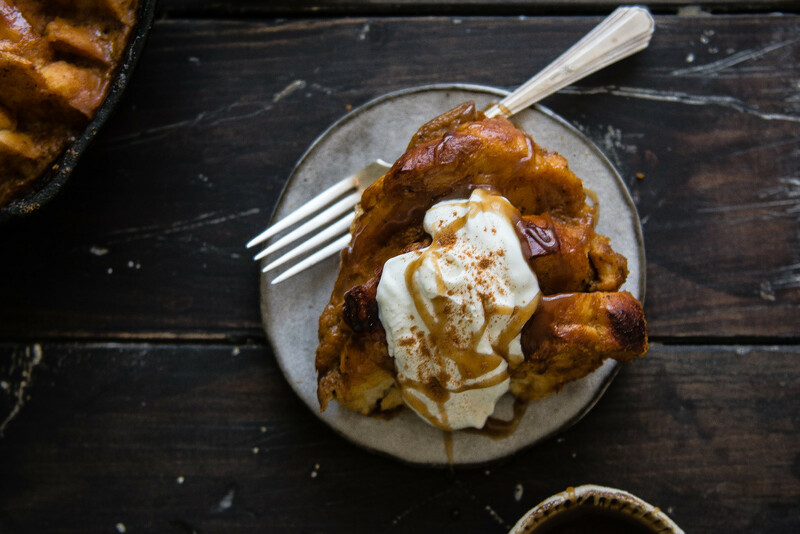 Baked french toast is my favourite brunch, and when it includes all those autumnal flavours and maple caramel?! Count me in. Awesome recipe. Congrats on the outcome of the case. I just postponed a hearing of my own for an asylum. You describe the job perfectly. Im glad you’re enjoying the wfh. 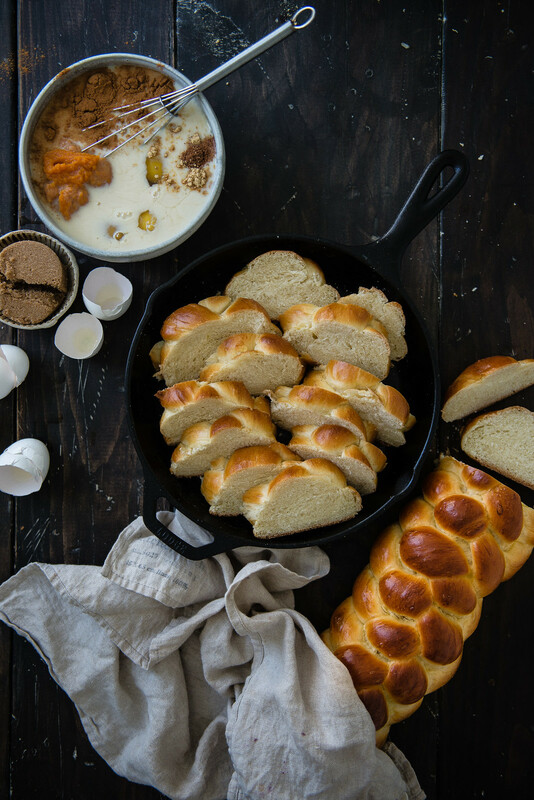 This baked challah French toast will be my new fave!!! The reason I never make French toast is because I never plan for it and therefore am usually out of milk and/or bread. I love the look of this. I love that can plan to my heart’s content, and have a fancy breakfast without having to be a morning person to make it. 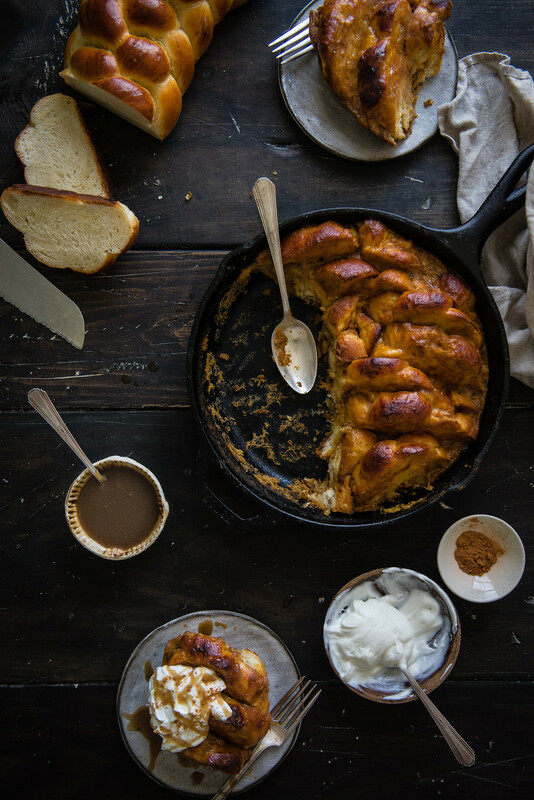 This looks great and it’s really similar to bread and butter pudding. I love the colours of this! Kabocha is one of my favorite squash! Never had it this way and that has to change. I’m really enjoying pumpkin season. Happy autumn! Cynthia, this baked French toast looks amahzing!!! Perhaps I’ll make this for breakfast on Thanksgiving or Christmas. It’s a beauty! Happy #VirtualPumpkinParty!! This is such an amazing recipe! I’d never think to make French toast with squash, that’s so insanely creative!! Props! I can imagine that moving the hearing is not a good option, hahaha. It’s nice that you can work from home as well. I loved it. It’s so much more comfortable. 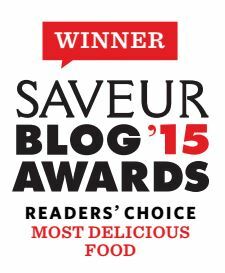 Your french toast looks amazing! Omg, YES! This French toast sounds amazing and looks even better! Omggggg Cynthia you are so close to meeting your little guy!!!! Eeeek SO EXCITING!!!! 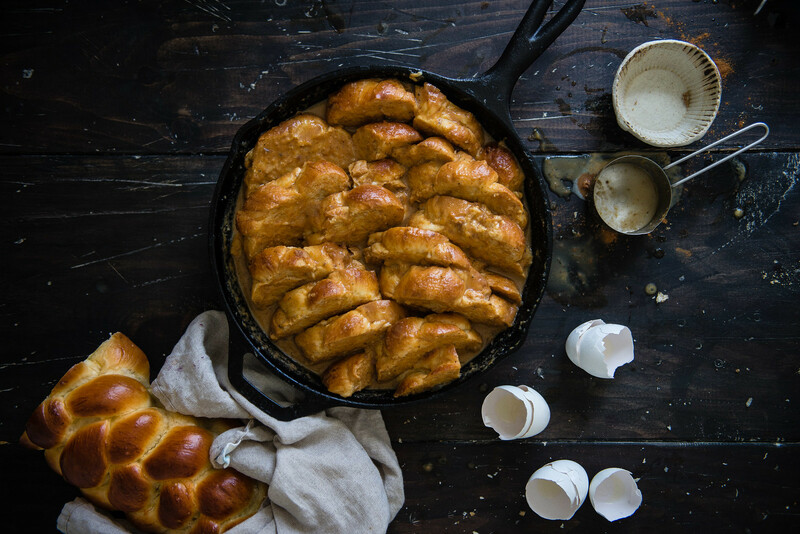 I have had that loaf of challah on my to-do list for literally years but this…THIS is the perfect kick in the pants to finally make it. Because I want that squash-y french toast. Now. Currently obsessed with pumpkin and caramel and this is just everythingggg. YAY happy maternity leave!!!! Wishing you all the best near the end of your pregnancy, holy smokes doesn’t time fly so fast!? 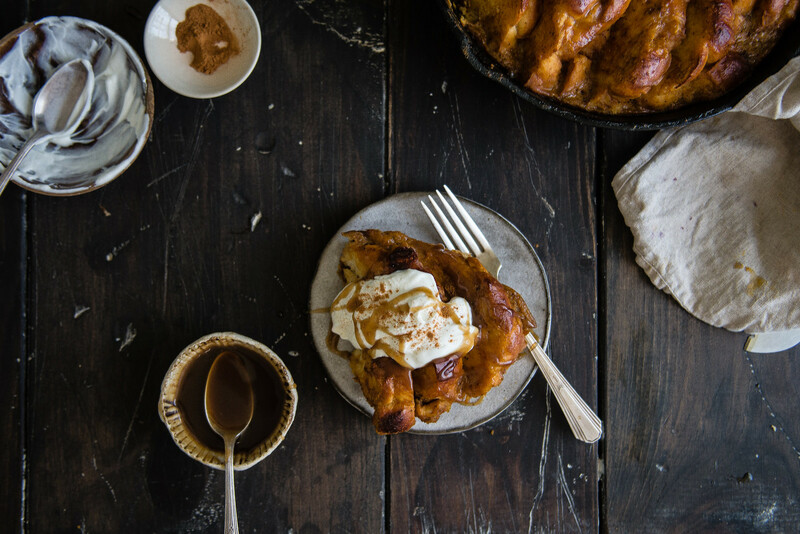 Make French toast at home to your heart’s content, please–I will continue drooling from afar. Congrats on everything working out, lady! What a creative, delicious recipe! Love this french toast!